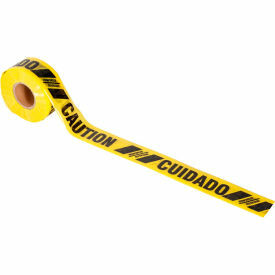 Stronger than ordinary Barricade Tape, our Reinforced Tape is tough enough to be used again and again without stretching in sunlight or wind. 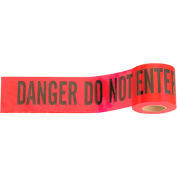 This reinforced barricade tape is made of reinforced, 4 mil thick, glossy plastic. 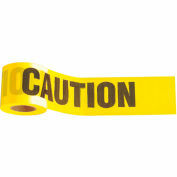 This reinforced plastic tape feature 250 lbs. 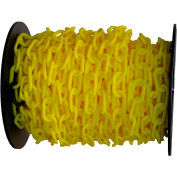 of tensile strength for long-term outdoor use. 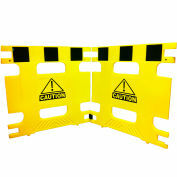 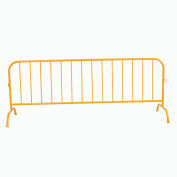 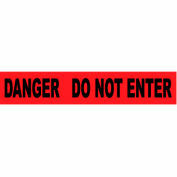 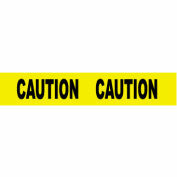 Visual barricading provides fast on-the-spot warning of potential danger. 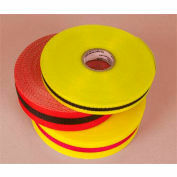 Tape can be tied, stapled or nailed to posts, fences or metal barricades.